Have I ever told you the story of how I met Poni? How do a little bird and an elephant come to be friends, you ask? Poni is an elephant. She has all the things an elephant has. She has two floppy ears, a long trunk, and big, tromping feet. But if you think that’s all there is to her, you don’t know Poni! Poni loves music. She jokes that she doesn’t have an ear for music — she has two big ears for it! Something happens to Poni when she hears music: she moves. Poni is the most graceful dancer in the Rainbow Pals. She swishes, she sways. She turns music into movement in a magical way. But Poni wasn’t always the happy hula dancer she is today. When Poni was growing up, she had a hard time making friends. She used to hear groups of birds singing in tree branches — what lovely music they made! But when Poni tried to say hello to the birds, they would fly away. In fact, they would fly away as soon as they heard her coming! I know what it’s like to be misunderstood. People often judge me for my size, just like they do to Poni. My problem is the same as Poni’s, and the opposite too! See, I’m a bird. A tiny bird! In fact, I’m the smallest in my whole family. Growing up, it was hard to get anyone’s attention. 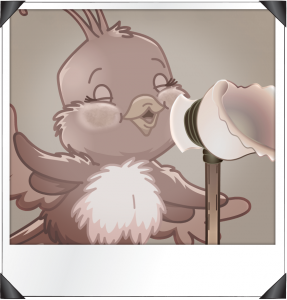 I love singing, but when I try to sing with crowd of birds, no one can hear me over the chattering. So I learned to sing by myself. Flying along the beach, I practiced quietly, writing my own melodies that I feared no one would ever hear. That’s where I was the day I flew into a wall. At least, that’s what I thought it was! I had been flying along practicing a new song when, BAM! I felt dizzy and started to fall to the ground. But the moment before I hit the ground, I was softly swooped out of the air. I looked up and saw two great eyes gazing down at me. I felt myself being carefully placed onto the warm sand. “Who are you?” I asked, dazed. The great creature turned to walk away. “Of course I can, silly,” she smiled, wiggling her ears. “What do you think I came to this beach? I could hear your song from a mile away.” I couldn’t believe it — she heard me! Someone heard Little Pua! I sat up and stretched my wings. I gave them a few practice flaps, then fly up to Poni’s height. “And did you like it?” I asked. I nodded, brightly, and taking a big breath — began my song. Suddenly, Poni began to move. 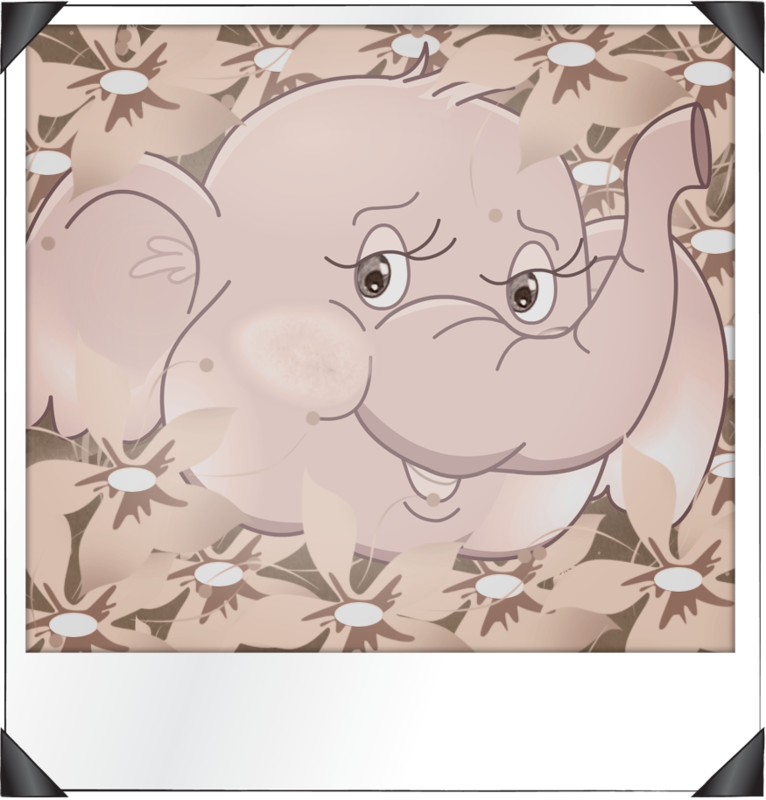 Her trunk swayed, her great legs became like graceful palms in the wind. She continued dancing until I finished my song. “You have a beautiful voice,” she told me. “And you are a magical dancer,” I replied. We both smiled, bashfully. Then Poni looked down and scuffed her big foot nervously on the ground. “Is something wrong” I asked. And that’s the story of how the gentle elephant with a heart of gold and the little bird with the big voice became friends!